You are here: Home / Announcements / Adequate time for Order Processing! Those in a Hurry Need to Read this resource first! Adequate time for Order Processing! Those in a Hurry Need to Read this resource first! Hurry, hurry and more hurry-That does not make us change the perfect process. There is the big question of speed versus quality. In any work that has to do with precious high value gemstones and jewelry, there is one sure way to shoot oneself in the leg and that is to give precedence to speed over the quality of work delivered. At Gemstoneuniverse, each and every piece of jewelry or talisman ordered by patrons is accorded importance from the word go. All specifications recommended to and desired by the customers are verified. In cases where customers require specific design elements to be incorporated or avoided, specifications are cross checked yet again, to leave no room for ambiguity. The bench jeweler is consulted for the feasibility of the design. The wearer would definitely want durability & ‘wearability’ along with the product measuring centum or thereabouts on aesthetic value. Since delivering maximum value to the patron is the primary aim, often times we discourage patrons from ordering certain designs or pieces of jewelry that may prove to be a bad decision later on. Creating a fine and exclusive piece of Jewelry with a rare and precious gemstone requires time besides love, respect for the sacred knowledge of planetary gemology,creativity and attention to detail. Creating an exquisite piece that you cherish over a lifetime requires time besides love, creativity and attention to detail. The output of any process, product delivery or service is largely contingent upon the input. We at our end do hold the onus of a large portion of input. You as a discerning customer must understand the value you bring in towards the finished product by way of providing adequate and precise information and allowing adequate and optimum time for the process of gem setting, consecration and appraisal to be facilitated. Clear instructions, exact communication and that you know what you want, are facts that are appreciated. Gemstone setting is an art and hurrying the process is compromising on the quality of workmanship and endangering the gemstone. Certain soft gemstones like emerald require great care as one single careless strike could fracture the stone rendering it useless for any purpose. Now that’s a lot of money gone down the drain! And more than the money effort and the sense of loss of losing a real gemstone! Melting the metal requires heat and delicate material like nacre which cannot withstand heat cannot be set and reset all the time! Also, we at Gemstoneuniverse would like you to hold back your desire to buy if you are inordinately hurried (Please note what endears us to our patrons is our perfect process that delivers great value and lifetime buyback. We understand that some of you are in a real hurry but we shall not compromise on the process because of this. To read about the flawless process please click here.). This is the worst possible time to take a decision regarding a gemstone purchase. We would like you to place an order with the when you can give us adequate time (Please see the timelines given in the shipping section. You can access the same by clicking here. Till date there has not been one order that has not met this specification. Another set of data that we would like to provide is that our average turnaround time is 50% faster than any bench jeweler dealing with precious and rare gemstones throughout the world). 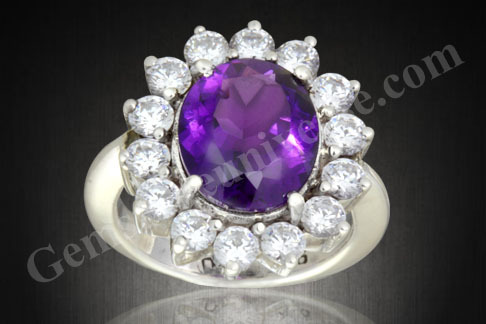 – Gemstoneuniverse has an exceptional turnaround time but we would not want to deliver work that is even a notch below our strict standards of quality. – The factors like appropriate strikes, national holidays, and transport delays are not within our control. The product can be appraised by government authorities only on working days and sudden holiday announcements may throw your delivery schedule off track. It is only sensible to add a margin for any such exigencies and not have too tight a time period. Our services have been appreciated and the brand has achieved recognition simply by the virtue of the fact that no element of the process is diluted and all instructions are adhered to. We would like you to know that despite all the checks, we would still have a better turnaround time that any offered by the fine jewelry houses like Tiffany’s, Bvlgari, Christian Bauer etc. which range anywhere between three to six weeks and our job is more complex since we deal in Jyotish Gemstones the pinnacle of all Gemstones. Our work does not just stop at making a beautiful piece; we have further work in getting certifications, appraisals and consecrating it. – Gemstone purchases require significant investment on your part. You might want to spruce up your knowledge adequately before making the purchase. This is greatly helpful in ridding your own mind of the doubts. There are sources of doubt aplenty and may lead to doubt, primarily because they would like to peddle their ware rather than have you buy elsewhere. So when the next time you call up and say you are in a Hurry, we would request you to access this resource first. 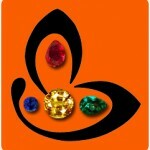 And thats why Gemstone Universe is my favourite, never compromising on quality. Total respect for you guys, keep up the good work. Thank You Sudhir Ji for your inputs. Also appreciate your testimonial given on the website! what an amazing images of gemstones are shared in the above article. Hello sir, I want to order a pearl stone ring and an emarald stone ring which is added to cart but I’m unable to buy those because I’m getting buy option in the cart so please help me on it.